Plants can be propagated from seeds or cuttings. Easy to grow, they have few pests. 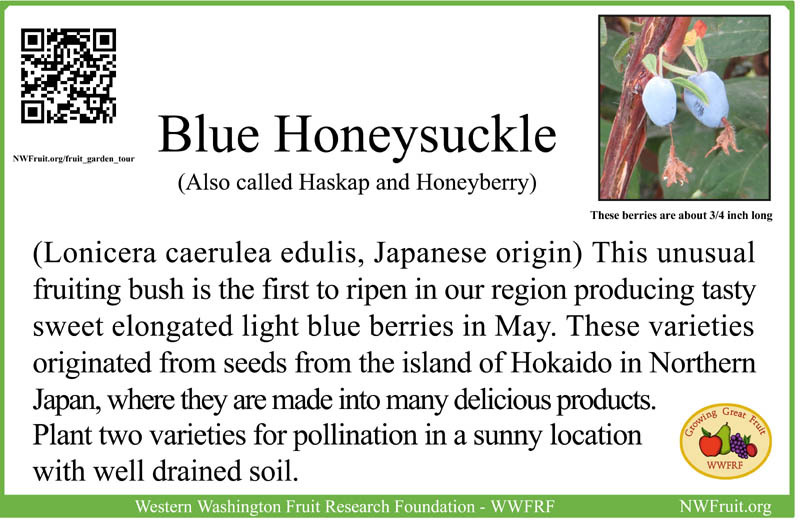 These varieties are from Oregon State University retired horticulturist Dr. Maxine Thompson who brought seeds back from the island of Hokaido in Northern Japan. 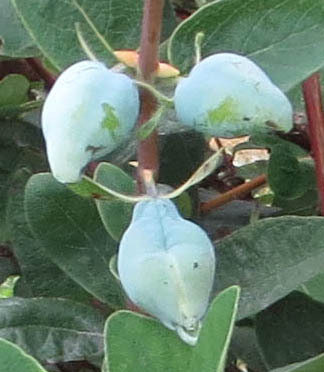 Dr. Thompson uses the common name “Haskaps” for these plants because that is the name used in Japan. Thompson understood that what we needed in our climate was not the most winter hardy continental varieties but later blooming maritime varieties. While the plants we have in the Fruit Garden are some of the best of Dr. Thompson’s original seedlings she has now developed second generation plants which will be more productive, have larger fruit and be more reliable producers in our area. 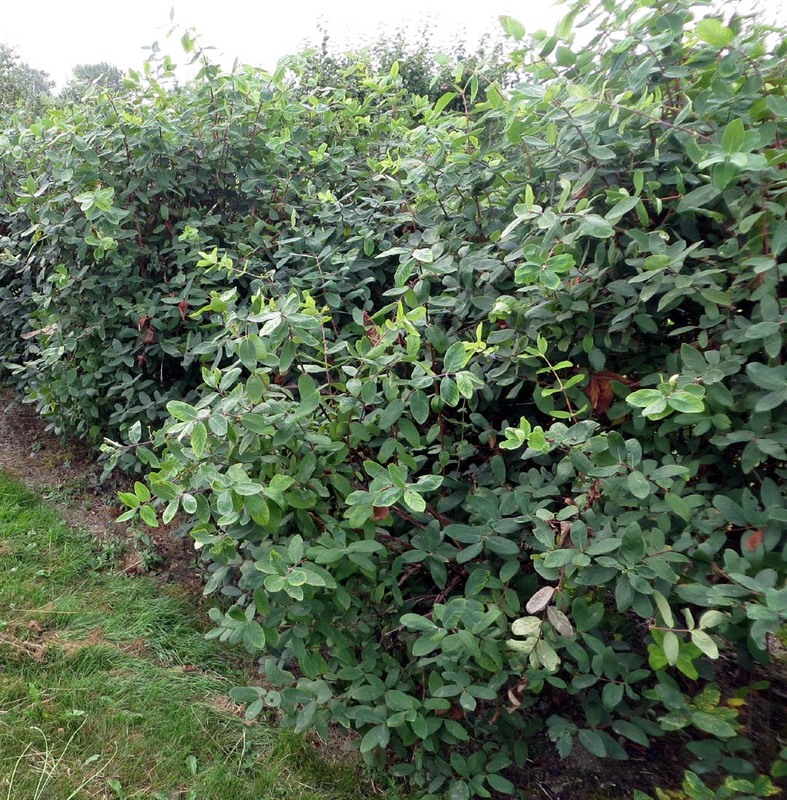 We plan to update our cultivars as new ones become available. 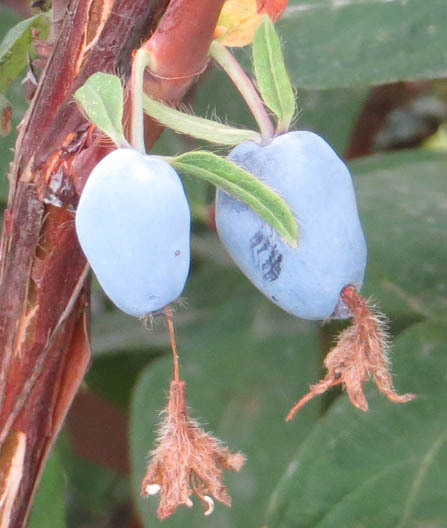 These haskaps have a variety of shapes as seen in the photos.